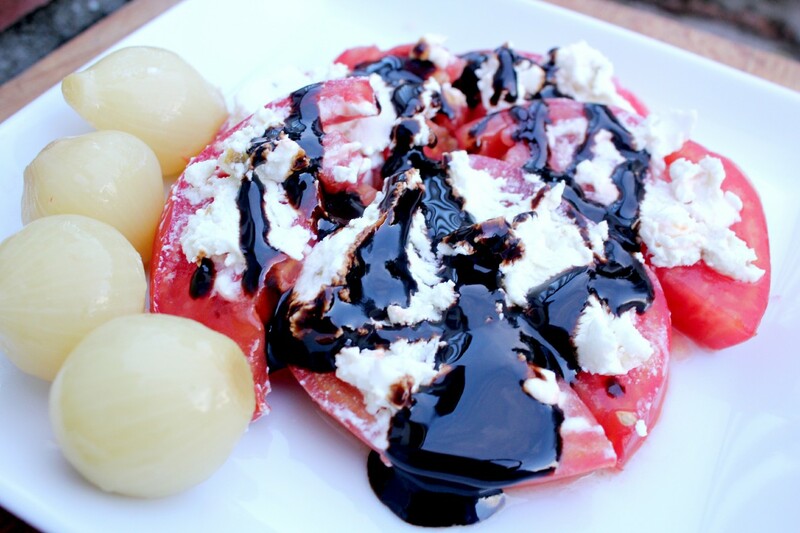 If you want a healthy appetizer to tide you over before dinner, I recommend this Tomato Chevre Salad! There’s so much flavor on one plate; and it’s great before a grass-fed steak. My dad likes to make this salad before dinner, and always comments about how it’s something you could find on a restaurant menu. Even though it definitely looks that way, it could not be simpler to make!